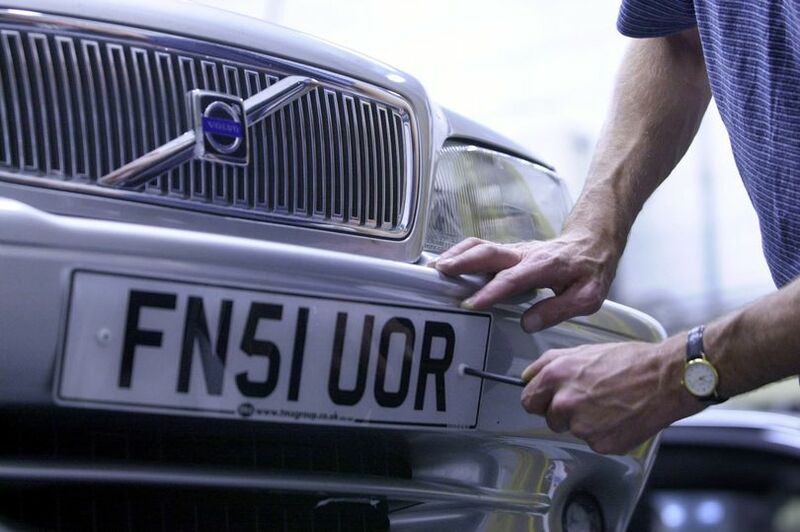 An average of 56 number plates are stolen every day from vehicles in England and Wales, the RAC has revealed. But the latest figure of 20,717 reported cases in 2014 was down by 12% from 23,667 in 2010, it added. The figures were calculated after 34 police forces responded to Freedom of Information requests. Criminals have been found to fix of the same make and model in a bid to make them appear genuine. This makes it harder for them to be caught committing offences such as speeding or leaving fuel forecourts without paying. Although the overall total of thefts in England and Wales has fallen since 2010, seven police forces revealed the problem has worsened. West Midlands Police experienced the largest rise at 38%, followed by Derbyshire (34%), North Yorkshire (18%) and South Yorkshire (13%). Warwickshire led the way for forces cutting incidents of stolen plates with an 80% reduction, ahead of Cheshire (55%), Surrey (50%) and Thames Valley Police (46%). Mr Williams added: “Instances of number plates being stolen are probably symptomatic of a wider issue that police forces are no doubt well aware of. A National Police Chiefs’ Council spokesman said: “The levels of vehicle crime, including theft from motor vehicles, have fallen by nearly three quarters since 1997. This entry was posted in News - Articles by premiernumberplates. Bookmark the permalink. Copyright © 2019 Premier Number Plates - All rights reserved.